1966 CESSNA 310. Colemill conversion IO520. 5360 TT, 1360 SFOH. Garmin GTN 750. Garmin 430 Aspen Pro synthetic vision. STec-60 attitude preselect. Airframe: Total Time: 5360 Hours Engines: 1360 SFOH......more. 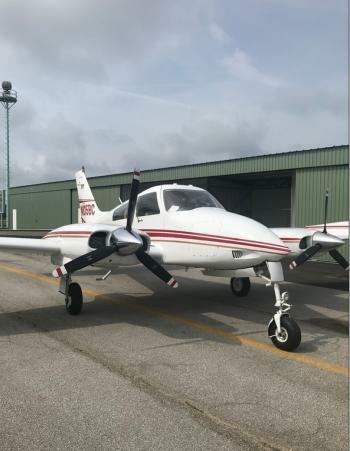 TOTAL TIME AIRFRAME:	3183	Hours Since New LEFT ENGINE TIME:	665	SMOH Continental IO-520 285 HP Overhauled in 1988 RIGHT ENGINE TIME:	665	SMOH Continental IO-520 285 HP Overhauled in 1988 PROP TIME:	75 / 75 SOH 8/2006......more.